For many people, winter is not the most pleasant of times. Snow, cold, ice, fruitcake, the veritable minefield that many people in the United States and abroad is no joke. 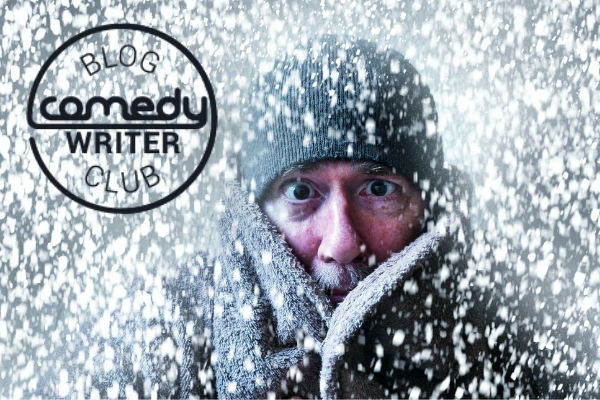 While winter is bad news for many, the terrible weather and freezing cold temperatures do not have to hurt your content nor your brand. In fact, extra time inside may actually benefit your content creation endeavors. In honor of our currently crappy weather, and the upcoming holiday season (which is either amazing or terrible depending on who you are, there is no in-between), take some time to consider how one can create content despite the terrible weather. Thinking about winter and terrible weather, the mind naturally wanders towards snow, ice, and of course fruitcake. While there your Great Aunt Ethel might like fruitcake most people really dislike it, and try as they might, cannot think positive about it or anything else related to Winter. Realistically, the fact that Winter has a negative connotation to many is simply a matter of perspective. Some people think of Winter and they have images of beautiful Christmas Trees, skiing down snow-covered slopes, and spending QUALITY time with family. Creating content is much the same, it’s all a matter of perspective. If you the creator of said content looks at your content, your brand and/or your clients in a negative matter, chances are that will be conveyed, and hurt your bottom line. If however, you take a positive approach and paint whatever you are selling in a positive light, great things and potentially beyond great things (whatever those things are) will happen. Think of Winter as a brand. As a brand, the marketing for Winter has epically failed. Florida is not what it appears to be, and is a state frought with issues (sinkholes, overcrowding, Mickey Mouse) and dangers (Hurricanes, Alligators, Zika). However, if you never lived in the Sunshine State, the tendency is to think its a beautiful paradise with amazing beaches (true), year-round sunshine (also true, but 95 degrees with 100% humidity is no walk in the park), and fun theme parks (true for people under 10). Florida, and its close cousin Summer have marketed themselves far better than Winter, and the states Tourism Dollars have greatly benefited. Think now of Minnesota, is the image overly positive? Likely not. The truth, however, is that in terms of quality of life for its residents, Minnesota is ranked far ahead of Florida. What Minnesota and its close cousin Winter lack is positive brand recognition. In the content marketing world, a movement currently exists to increase brand value through positive marketing. The general idea is that by connecting with consumers individually, showing them their value, communicating, and making them smile, positive associations with brands will form, and going back to the ever important bottom line, profits will come. Going back to our example of Minnesota versus Florida, for the Winter hater, perhaps Minnesota should focus on beautiful lakes (water is nice), friendly people (who doesn’t like friendly people, aside from the Grinch), outstanding shopping and pro sports. Minnesota has produced great things, Prince, the Mall of America, Target (2 out of 3 ain’t bad) and should market itself accordingly. Warm weather climates while generally marketed positively have their own issues, and intense heat is as bad as extreme cold, if not worse to many. If branded correctly, Minnesota, Winter, Attila the Hun, Crocs, you name it can create positive feelings with consumers which resonate with the bottom line. Doing this, and making positive content that is weatherproof is up to you. If you have learned one thing from reading this blog, and only one thing, it is that just because the temperatures are dropping, and the days are getting shorter does not mean one’s content has to match the “season.” Instead, by turning things around and looking at more quality time with loved ones, pro basketball, and more opportunities to cuddle up with a book or movie by a fireplace, one can create blistering hot content even in the dead of winter. Jason D’s writing experience is varied. He is currently finishing his dissertation in the field of Criminology on the relationship between psychopathic personality traits and lying. Please don’t let the academic background fool you, Jason will write about any and everything and is well versed in popular culture.